Golden Era Productions, the 500-acre worldwide film center for the Scientology religion, boasts an 80,000-square-foot film studio, high definition digital editing suites, a cutting-edge visual effects department and the most advanced recording, reproduction and mixing facilities available anywhere. Staffed by members of the Church’s religious order, the Sea Organization, it’s an idyllic workers paradise set against rustic Southern California hills with the look and feel of a resort featuring four-star dining, spacious berthing and such amenities as a golf course, an Olympic-sized swimming pool, tennis courts and fully-equipped gym available to the staff 24 hours a day. 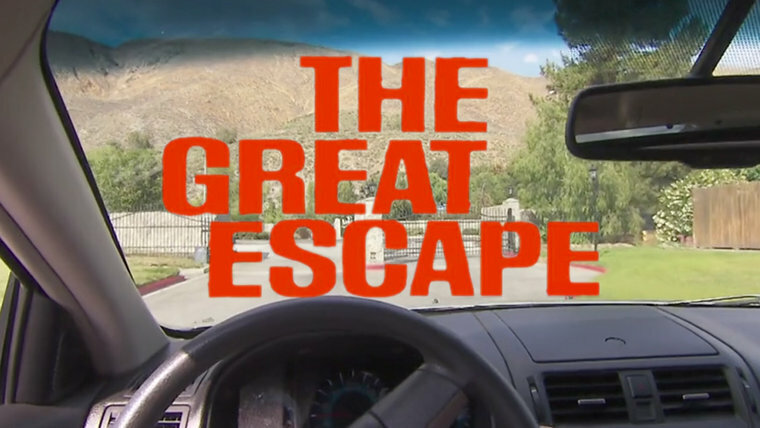 Four years later to make a buck off the name and accomplishments of his son, Ron concocted a tale and all of a sudden his Sunday afternoon drive became the “Great Escape,” made all the more absurd by the fact that the car he drove off in was gifted to him by his son. The truth is he drove through the gate he’d passed through every day for years down the State Highway he’d traveled thousands of times.